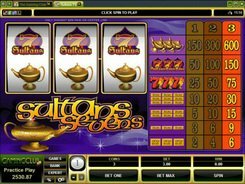 The Great Griffin slot produced by Microgaming has 5 reels, 50 paylines and 4 rows instead of conventional three rows. 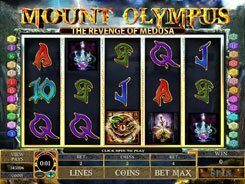 What is best about this action-packed slot machine is its magical theme. The reels are loaded with a bunch of spell books, potions, magic roots, crystals and other magicians accessories. 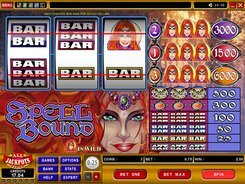 Giving you extra winning opportunities, the slot is equipped with two different scatters. 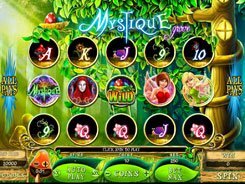 One of them triggers 5–15 free spins at up to a x10 multiplier if three or more appear anywhere on the reels, and another scatter activates a “pick ‘em all” bonus game. A coin value ranges from $0.01 to $0.1, with the maximum bet reaching $100 per spin. During a normal game, the Griffin may appear flying across the reels and turning random symbols into wilds, which boosts your winnings sky high. 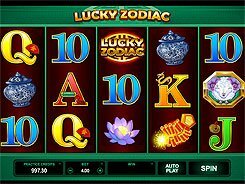 A wild is represented by the Griffin symbol that substitutes for regular icons to finish a winning combo and produces a jackpot worth x5000, for five of a kind. 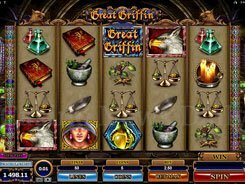 Having a smooth gameplay, nice graphics and an amazing magical theme, Great Griffin will appeal to 5-reel slot aficionados and fans of Microgaming’s products as well.